SANTA CRUZ – The Construction team had to quickly come up with an entirely new plan for a pedestrian/bike bridge over Branciforte Creek when the first pile hole being drilled by a subcontractor – 8 feet wide and 105 feet deep - collapsed due to poor soil conditions. WATSONVILLE – Math isn’t boring. 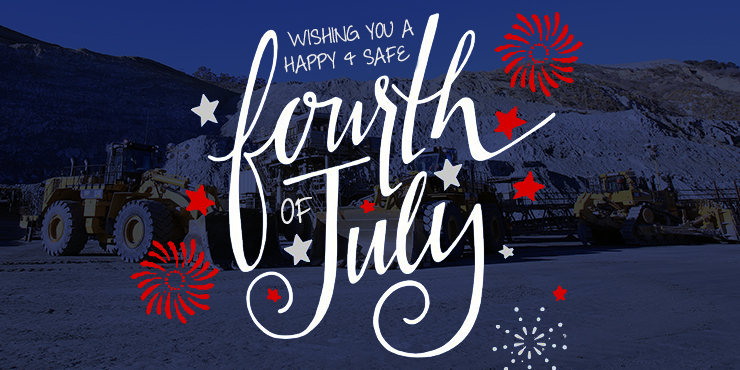 Wishing everyone a fun, safe Fourth of July! SAN JOSE – Drones have taken off in the Construction Division in a way that’s dramatically improving job safety and efficiency. FELTON – Congratulations to the Quail Hollow Sand Plant team for 20 years without a lost time incident. MONTEREY – Scattered throughout the Monterey Peninsula is the Old World-inspired handiwork of stonemason Mike Mahoney, a good-natured guy who carries a number of titles – husband, father, grandfather, adventurer, musician, fisherman, surfer, cowboy and coach.